With BlizzCON on our backs, new SC2/D3 content is trickling out, even more thirsty for new hack’n’slash stuff (just reviewed Rage and Dark Souls for the november edition of Mondo, was completely unsatisfied with the former, nothing but a fortunate mixture of Borderlands and Fallout, and Dark Souls is just pure unadulterated frustration, Torchlight II is not even out yet so it’s either Dungeons of Dredmor or nothing). Heart of the Swarm? Might need a hook back into the Starcraft universe. 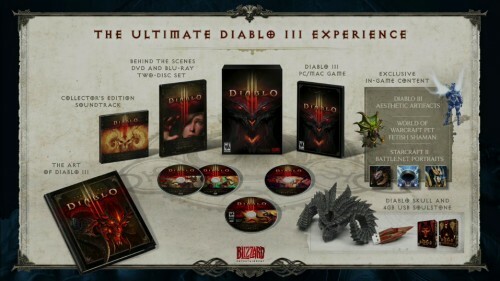 But it’s more like needing a Diablo III collector’s edition and that’s the only physical game I’m leaving the country with mid-2012. Oh yes. This is a brief game-only post. Have a nice weekend.